No cooking little mess and ready in minutes! Gourmet Healthy Refrigerator Chocolate made with ingredients so healthy you can enjoy as much as you like without the guilt! Now you can make a healthy treat for friends, family, or yourself! 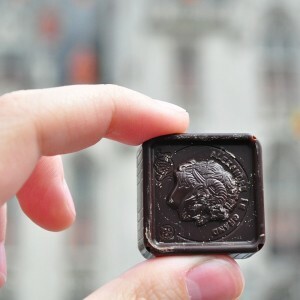 Did you know that to make commercial chocolate remain in a stable form on the shelf, stay in the wrapper and not melt they have to make unhealthy modifications? For the oils used in commercial chocolate that keep it solid at room temperature, it ends up doing the same thing in your body, but your body needs it to be melted and usable! 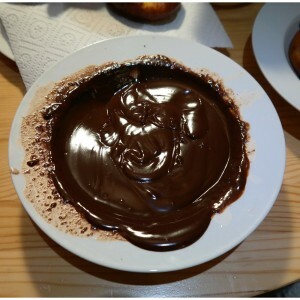 Commercial chocolate usually contains hydrogenated oils, which are created using a chemical process wherein hydrogen is made to combine with liquid oils turning them into a solid form. Partially hydrogenated fats are molecules that include trans fats, among the worst offenders to good health and the most dangerous kind of fat that you can consume. 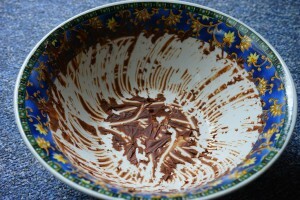 I have good news for you; raw cacao is not only a gourmet taste treat it is truly a powerful superfood! Raw Cacao contains about 400 percent more antioxidants than processed dark chocolate, 2000 percent (twenty times more) than blueberries, and as 119 times more antioxidants than bananas. 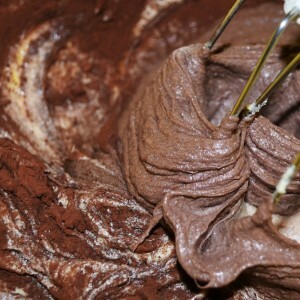 Today we know that adding dairy blocks the absorption of the antioxidants in chocolate. The superfood benefits of cacao are only available in the raw form of cacao. Studies have found that by adding dairy this blocks the absorption of antioxidants in chocolate. Processed chocolate can be yummy, but the processing and addition of milk and other less than desirable oils and ingredients inhibits or removes the benefits of cacao. But we have a super healthy fix to this problem for you that is incredibly delicious too! Raw (naturally fermented air dried cacao) is entirely different than roasted processed cocoa, because, unlike processed cocoa that loses much of it’s benefits, raw cacao retains its healthy attributes. Raw Cacao can help you switch your body from being a sugar burner to instead become a fat burner by resetting your metabolism with a diet including cacao. Swiss studies from 2009 show that in less than two weeks cacao decreases hormone cortisol, this improves metabolism, the gut biome is improved by increasing microbial activity and this in itself improves mood too. Raw Cacao can help reduce insulin resistance and sensitivity in people with compromised glucose tolerance or smokers. Both coconut oil and raw cacao can improve cognition as well as neurological function and memory, offering one of the only interventions for a Alzheimer’s patient’s condition or shielding those not yet affected by it. Cacao has been shown to improve memory as well as increase the brain’s blood supply by increasing blood-flow. Raw cacao balances hormones and improves mood. Not only does it contain anandamide that provides the euphoric feeling we have all come to know and love, but it also contains MAO inhibitors that enhance and increases the free flow of serotonin (the good-feeling brain chemical). Because cacao decreases the stress home cortisol combined with increases in serotonin, the euphoric feeling from anandamide and the aphrodisiac effect of phenylethylamine, “the love chemical,” it is not difficult to see why we don’t just have a love affair with cacao, we have physical needs it fulfills. Which leads us to ask: Can cacao and coconut Oil Prevent Alzheimer’s? 18 Impressive Cocoa Benefits “Health benefits of cocoa include relief from high blood pressure, cholesterol, obesity, constipation, diabetes, bronchial asthma, chronic fatigue syndrome, and various neurodegenerative diseases. It helps reduce the risk of cancer and improve cardiovascular as well as brain health. It also helps in treating copper deficiency, quick wound healing, and skin care. It has mood-enhancing properties and exerts protective effects against neurotoxicity.” More information about the 18 Impressive Cocoa Benefits at organicfacts.net. Stimulates digestion by increasing digestive enzymes and increases bowel function. Also, it is high in fiber, and because cortisol is reduced it is more likely the body will acknowledge leptin which is the hormoe responsible for that satisfied you have had enough and are fulfilled-feeling when eating something. Cacao helps fight tooth decay and cacao aids the hardening of tooth enamel. Ask the Dentist says: “Recent studies emerging from Japan, England, and the U.S. support the fact that chocolate is effective at fighting cavities, plaque, and tooth decay in the mouth.” Reference. Studies show it can prevent skin cancer, and noticeably improves the skin’s resilience and texture. Is there anything this stuff does not do? Time to go make some. Run the powder ingredients through a sifter into a bowl. Warm the coconut oil and cocoa oils in a double boiler, meaning bring a larger pan of water into which a smaller pan that has the coconut oil and cocoa butter in and warm slowly just until melted, or if the room temperature is high enough that the oils are already liquid just use them as they are no warming is needed. Add the liquid ingredients to a separate bowl, then slowly add the powdered ingredients while mixing. You can place the mixture on a small cookie sheet, on parchment paper, in a candy form or cupcake papers, unless you eat it first! You can add dried fruit, seeds or nuts to the mixture before refrigerating. 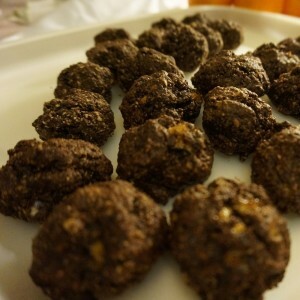 You can make a thicker mixture by adding more carob and cocoa then roll into balls, then roll the balls into dehydrated organic coconut, crushed walnuts or a nut of your choice. If you add a little more coconut oil and a little less powder the resulting mixture will pour into a mold before refrigerating, which can give it a more finished look that can be visually appealing as well.